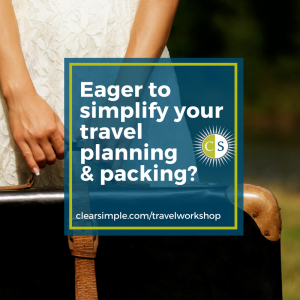 At the beginning of a new year, the inner urge to finally get FREE of clutter and disorganization can hit hard. Yet it feels impossible and overwhelming. We don’t even know where to even start. Let me make this simpler for you. 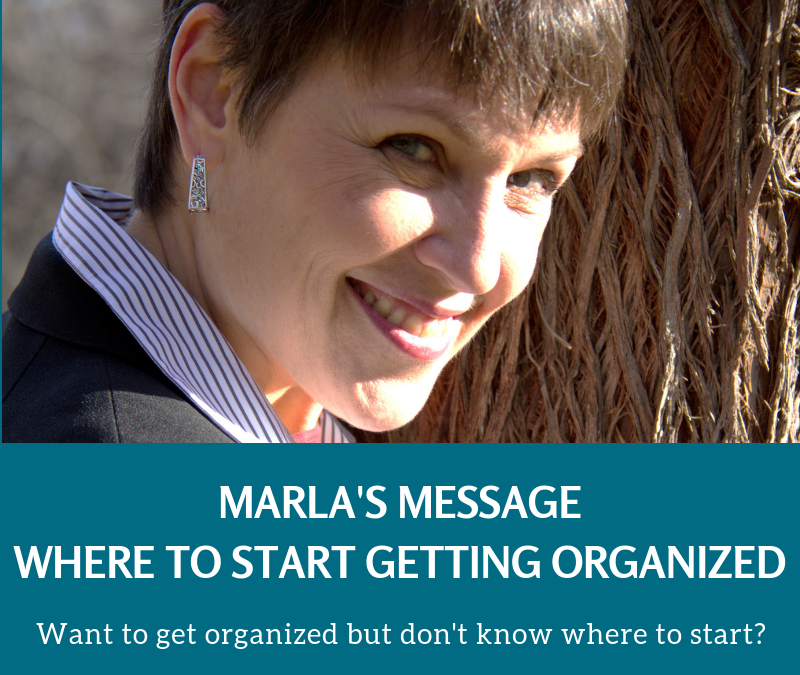 I want to share where “getting organized” began for me. 20 years ago I read a line that changed my life. It was from Karen Kingston‘s book Clear Your Clutter with Feng Shui. She said, “Imagine how it would it feel like to be surrounded only by the things that you use and that you love”? When I read this, I was struck with lightening. I wanted to know what this would feel like. But I didn’t know where to start. So, I decided to just do a drawer, which led to a closet, then my kitchen and within a year my life was radically different.I got hooked. It was so freeing. This led to my business being born because I wanted so much to share this feeling of freedom with others. So let me ask you….WHERE? 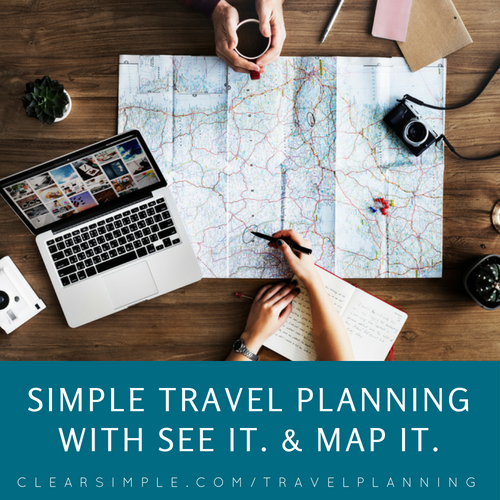 If you could start anywhere with your organizing, where would it be? If you could do one area, one layer or one project this year what would it be. I want you to be clear on this. Is it your bedroom, your kitchen, your paper? Maybe it’s your calendar? By knowing where you want to start, everything gets easier because you can let go of the others. Honestly if you get one project done each year, that is good enough. Then I want to ask you… WHY? Why do you want to start with this area? What is the meaning for you? This whole month we will be exploring your why. 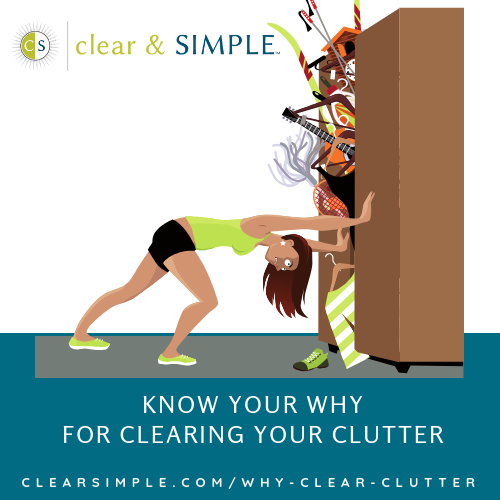 Why do you want to get free of the clutter in this area? 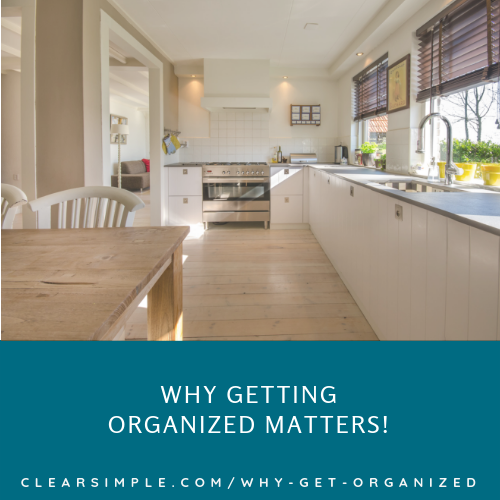 Why do you want to get organized in this space? When you are clear on the personal meaning you will be motivated to make the change. And now, at the beginning of 2019, I can honestly say that I know what it feels like to be surrounded only by the things that I use and love. I am deeply grateful to be living in a quiet country town surrounded by nature and open space. I joyfully get to fill my days only what I most want to do. I want to be a messenger of hope. 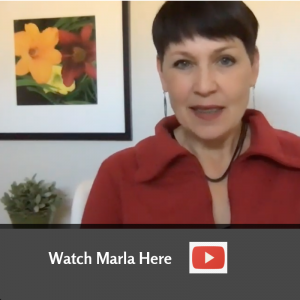 I want to help you get free of the clutter or chaos that is keeping you stuck. 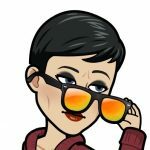 I would love to have you share your where and why with me. This will help me support you throughout this month and this year. Please know that I am here for you. Let me know if you want to talk or if you want help in any way. I want to be your guide and witness your success.